The main difference between Bluehost and GoDaddy is price. Bluehost tends to be less expensive since they include more features in the base price, such as email accounts and SSL encryption. GoDaddy requires add-on purchases, which tend to result in a higher annual price. Server speed and customer service are about the same for Bluehost and GoDaddy. We found Bluehost to be the better option because you’re likely to spend a lot less on hosting while receiving the same high quality of service and customer support. This is because Bluehost includes essential features like email and SSL encryption in their low, $2.95/month base price. To get started, simply use the tool below to find an available domain name, then follow our guides to set up a WordPress website and business email accounts. Bluehost provides everything you need to make a professional website at the lowest possible price. Hosting, domain, and business email are all rolled into one package, starting at $2.95/month. While there’s often an expectation that lower-priced companies must be cutting costs in some way, this is not the case with Bluehost. Their servers are faster and more reliable than many competitors and their support team operates 24/7. While GoDaddy does exceed Bluehost in some factors, as we’ll explain more below, Bluehost is ultimately the best and most economical choice. GoDaddy is another solid choice for web hosting. They have low pricing, great customer service, and fast/reliable servers. The only real downside compared to Bluehost is that GoDaddy charges extra for SSL encryption (starting at $59.99/year), which is important to get your website ranked highly on search engines. On the other hand, GoDaddy excels when it comes to domain names: It’s only $8 – $10/year for domains, and only $7.99/year for domain privacy protection—almost half as much as Bluehost. If you plan on setting up multiple websites, or just want to stock up on domains, GoDaddy could be your best bet. While both services have low-cost hosting plans, Bluehost comes out a lot less expensive because since you don’t have to pay extra for email or SSL encryption. (As we explain further down, SSL is key for business websites.) Bluehost costs as little as $35 in the first year, compared to $96 for GoDaddy. The prices above are for shared hosting. Both companies also offer cloud hosting, VPS hosting, dedicated hosting, and a huge range of other products. We decided to focus on shared hosting, since this is what most small businesses will use. Also note that both companies offer promotional pricing that expires after one to three years, depending on your contract length. The renewal rate is $7.99 for both GoDaddy and Bluehost. Bluehost: Bluehost starts at $2.95/month for shared hosting, and renews at $7.99/month after the promotional period expires. Impressively, Bluehost’s lowest cost plan provides everything a professional website needs: unlimited bandwidth, 50GB of storage, a dot-com domain, SSL encryption, and even five professional email accounts. You may consider upgrading to Bluehost’s next level up, the “plus” plan, if you want to set up more email accounts or want to set up more than one website. The plus plan costs $5.45/month and renews at $10.99/month. GoDaddy: GoDaddy starts at $2.99/month for shared hosting, renewing at $7.99/month after the promotional period. Like Bluehost, you get everything you need to set up a professional website, except for the SSL certificate (starts at $59.99/year) and business email accounts. There is a one-year trial of Office 365 Business Email, but this renews at $4.99/month. An SSL certificate changes your URL to “https” and adds a padlock icon with the word “secure” next to your website on the address bar. This means your website is encrypted and safer for visitors to enter private information, like passwords and credit card information. It’s also become a factor in Google’s PageRank algorithm. Websites that use SSL encryption are more likely to be ranked higher than those that do not. For this reason, we consider an SSL certificate one of the “essentials” that should be included in a web hosting package. Google has been slowly increasing their penalty for non-secure websites, soon displaying warnings next to non-https URLs. Surprisingly, despite how important this is, Bluehost is the only hosting company to provide SSL certificates by default. GoDaddy requires an extra fee to get this up and running. Bluehost: Bluehost includes a free shared SSL certificate with all their hosting plans. This means your URL will change to https and a padlock icon with “secure” will appear on the address bar. For an extra $50/year, you can make it a private SSL certificate. This adds your website name to the certificate, should anyone inspect it, but otherwise does not have any SEO benefit. GoDaddy: GoDaddy does not include SSL encryption unless you upgrade to their Ultimate or Business Hosting plans. Alternatively, you can purchase a private SSL certificate as an add-on starting at $59.99/year. We also looked at how quickly websites load and how reliable they are in terms of staying online. Uptime is the percentage of time a website is live and accessible to users. So, for example, an uptime of 99.97% means a website is down 0.03% of the time, or roughly 13 minutes in a given month. Bluehost: Bluehost has an average page load time of 3.05 seconds, and an uptime of 99.94%. This means websites are down an average of 26 minutes per month. GoDaddy: GoDaddy has a slightly faster page load time of 2.94 seconds, and an uptime of 99.97%. This means websites are down an average of 13 minutes per month. Bluehost: Bluehost provides a free domain for one year. After that, domains renew at $15.99/year. Domain privacy protection, which shields your contact information from the public domain registry, costs $14.88/year. GoDaddy: GoDaddy offers a free domain for the full duration of your 12-, 24-, or 36-month plan. 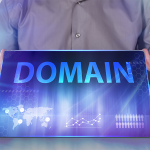 After the initial term, .COM domains renew at $14.99/year. Domain privacy protection is only $7.99/year through GoDaddy, which is almost half as much as through Bluehost. Also, new domains can be purchased for as little as $7.99/year when you pay for multiple years upfront. Good quality customer support is extremely important with web hosting providers. 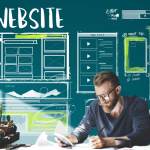 If your website goes down, you need to be able to contact someone immediately to help you with the issue. You may also want someone who can help you install your CMS to get your website up and running. Both services provide 24/7 phone and live chat support, so the key difference is how users rate support in terms of wait times and helpfulness. Based on user reviews, GoDaddy seems to have the best customer service. Bluehost: Phone support and live chat support are available 24/7/365. Online user reviews seem pretty split between people loving or hating the customer service they received. In my own experience, having contacted Bluehost for a domain-related issue, I received very helpful live chat support with no waiting time. GoDaddy: GoDaddy provides 24/7/365 phone support, as well as live chat and self-help forums for its customers. We have used them for web hosting, and they are able to provide friendly, helpful customer service with good response times. When it comes to deciding between GoDaddy vs. Bluehost, the differences can be subtle. Both offer a very similar array of services, and their server performance ratings are roughly the same. The main difference is what you get for the money. Bluehost offers everything you need upfront, whereas GoDaddy charges extra for some essential features, like SSL encryption and business email. For this reason, we recommend using Bluehost for your new website. Once you have a hosting account, be sure to check out our guides to setting up a WordPress website and business email accounts at no extra cost.